"I have about 500 RAR archive files and 300 ZIP files that I want to burn to a DVD and give to someone else. I would like those 800 different archives to be in the same file format, so can I convert RAR file to ZIP?" Undoubtedly everyone who uses Windows computer inevitably came across the same problem as mentioned above - How to convert RAR file to ZIP. The ZIP archive is the most well known and frequent used archive format around today. However, sometimes some archives are incompatible. No worries. Here I tell you free RAR archive to ZIP format converter to deal with it. 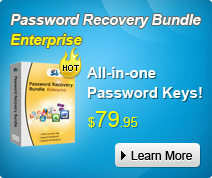 Also if you forgot or lost your Microsoft Office 2013/2010/2007 product key, it can be found with Product Key Recovery. 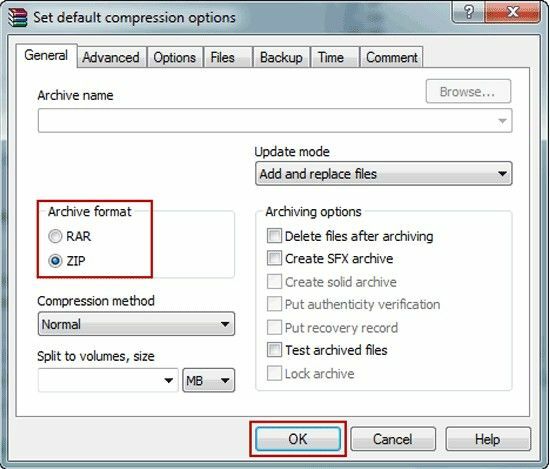 When you find RAR archive format is not right to you, actually you can recompress it with archive format as you like, or directly switch RAR to ZIP format in WinRAR. Now you can do following the instructions. Step1. Run WinRAR on your computer and go to the location where RAR archive saves in Windows address bar. And then select the RAR archives you want to convert. In WinRAR menu, Click Tools and select Covert archives. Step2. Generally speaking, Covert archives window will pop up. There should be the RAR archives in the Archives to convert box. Of course, you can click Add button to import files into Archive to convert when you want to convert other archives format. Tips: You have to select appropriate archive types in Archive types, and then you can see the imported archives in the left side "Archives to convert" box. Step3. Click Compression, showed as picture above, in Convert archives to run Set Default compression options dialog. Here you are supposed to archive format ZIP, and click OK.
Step4.Click OK in Convert archives to start processing. You can see original RAR archives are extracting and new ZIP archives are being created. When it is finished, click Close button and you will find new ZIP archive has been created and saved in the same location. Tips: This way also can be applied to convert other formats to ZIP or RAR format such as 7z, ace, arj, bz2, cab, gz, iso, lzh, tar, z and etc. Done!!! The in-built WinRAR on Windows can be the best ZIP file converter as you can see. Your RAR archives can be converted into ZIP format with ease. Here if you have any problem, you can be free to leave it in the comment section.